Traffic in the Calcasieu Ship Channel is expected to increase significantly over the next 10 years due to the expanded operations of the present channel users and the construction of several proposed terminals. By 2021, the traffic in the channel is forecasted to double from 2013 levels. 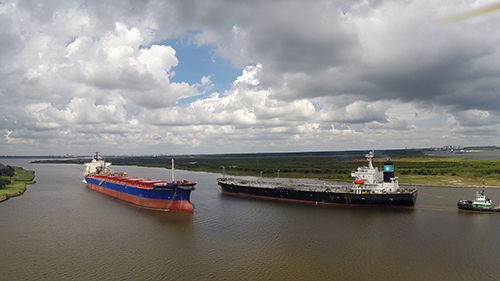 Ausenco was engaged by the Port of Lake Charles to conduct a simulation study to investigate the impact of this traffic on the operations of the channel and to assess the need for changes to the channel infrastructure and regulations. For this study, Ausenco developed a detailed model of the Calcasieu Ship Channel. This model included the existing and proposed terminals, present and forecasted traffic levels, different vessel types, the four pilot boarding areas, rules and restrictions for transits, boarding windows, and weather closures.